Did you know that approximately 85% of the soil and dirt in your Oxford home carpet is dry and can be removed through regular vacuuming? If you want to get the most out of your investment, vacuuming is one of the best ways for you to take care of your carpet. It is also one of the easiest ways to take proper care of carpet. Vacuuming frequency is vital in terms of carpet care as certain areas of carpet should be vacuumed more frequently than others. Vacuum daily in high-traffic or pet areas, twice weekly in medium-traffic areas, and weekly in light-traffic areas Frequent vacuuming prolongs the life of your carpet by preventing a buildup of grainy particles that can cut carpet fibers. Use those attachments. 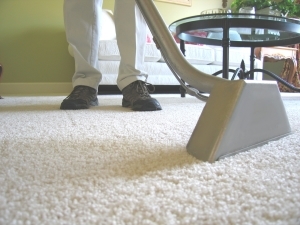 The hard to reach corners and edges of your carpets can easily be reached by using your vacuums hose and attachments. Twice per month, take a little extra time and use your crevice tool for cleaning around baseboards and radiators, behind furniture, and in other hard-to-reach places. When vacuuming wall-to-wall carpeting, divide the floor into sections and vacuum one section at a time. Take your time vacuuming. It’s a good idea to take your time when you vacuum your carpet, especially plush carpet in which dirt can become deeply embedded in the carpet fibers. A single pass with a high-powered upright is not enough. Vacuum over each section of carpeting several times, working slowly to allow the suction to remove all the ground-in dust and dirt. Ensure proper airflow. The suction of a vacuum is strongest when the air is able to move freely through the vacuum. If you are using a bagged vacuum ensure the bag is no more than half full. If it is a bagless vacuum do not fill the vacuum above the fill line. Also on any vacuum check the filters to ensure smaller particles of dust are not reducing your suction power. Pay particular attention to sections where people sit and move their feet. Vacuum these heavy traffic areas with a crisscross pattern of overlapping strokes. Did you know that baking soda can be added to the bag in your vacuum to fight odors? At Professional Carpet Systems, we want the best for you and your carpet. Contact us today to learn more tips and tricks to keeping your carpets clean all year round.